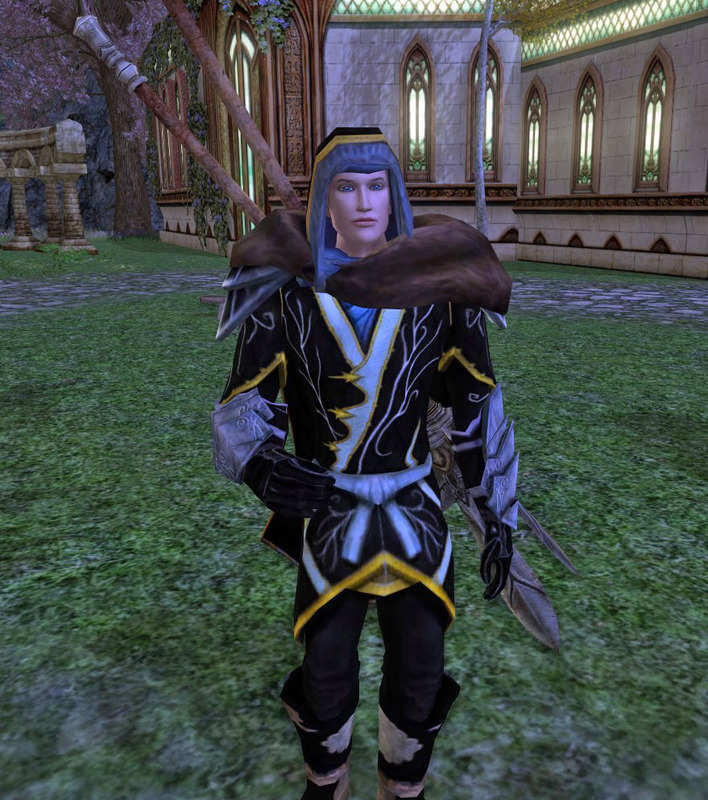 Thurfin emailed me to tell me about an outfit of his that he really liked, and once I took a gander, I totally agreed. The outfit is dark, meant to convey a sense of mystery. As Thurfin told me, the character has had a bumpy past, but looks ahead to the future instead of dwelling on matters that cannot be changed. 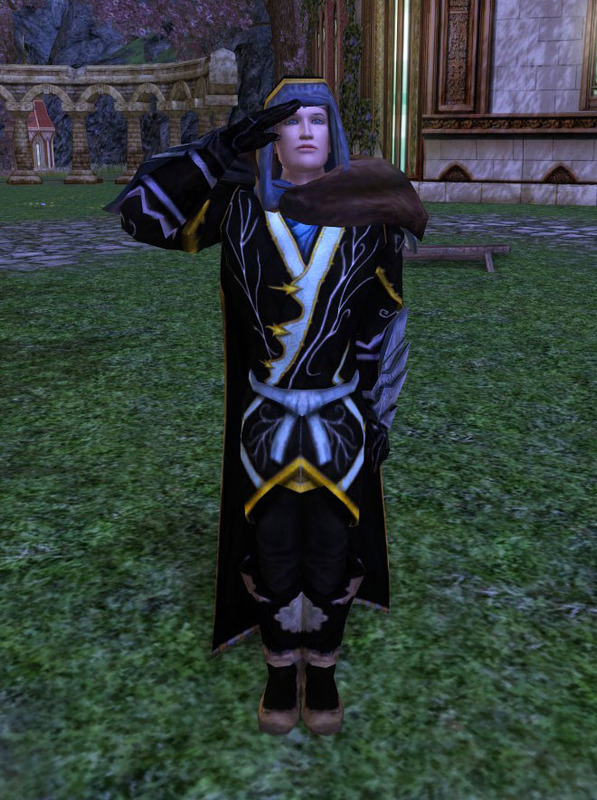 He has a wife and family, as well as roles helping the Rangers of Annúminas and, most recently, one of Landroval’s prominent roleplayers, Arion. The outfit features the Rock-climber’s Armour and Rock-climber’s Leggings, as well as the Cloak of the Steadfast. I really really like how the cloak pairs with the armour; I think it’s a brilliant color match. 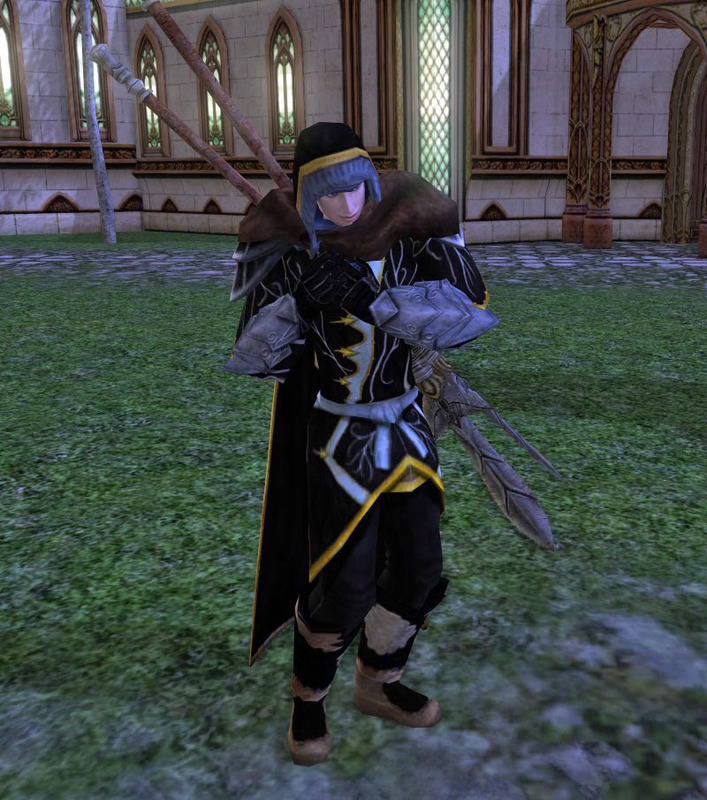 Thurfin said the only part of his outfit he’s not thrilled with are his gauntlets. I know I could offer an idea or two, but I’d rather hear from readers: what would you advise? 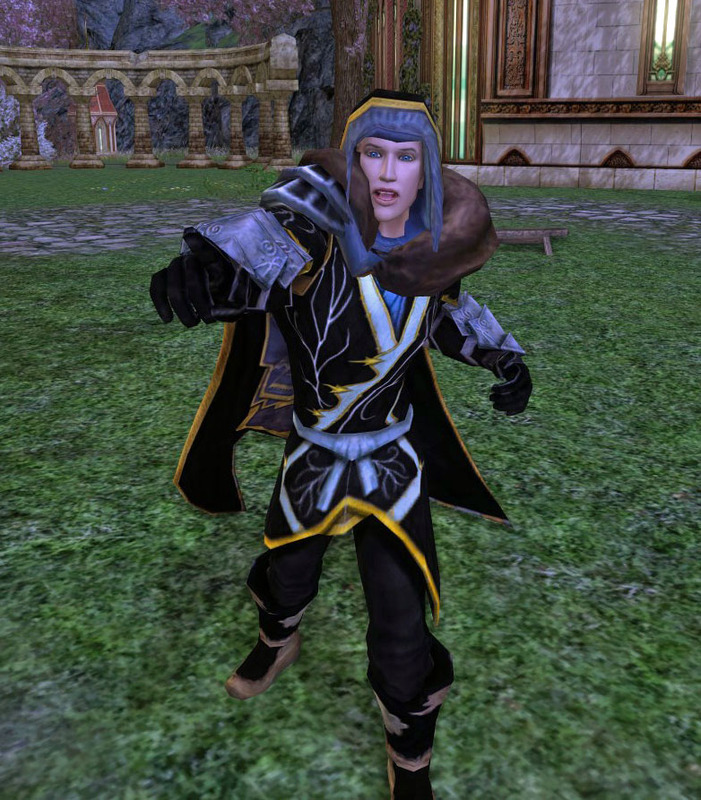 Remember, the aura he’s going for here is a mysterious and aged Elf moving through the night. The shots are deliberately kept a bit darker to reflect the night-time setting. OK, awesome, right? 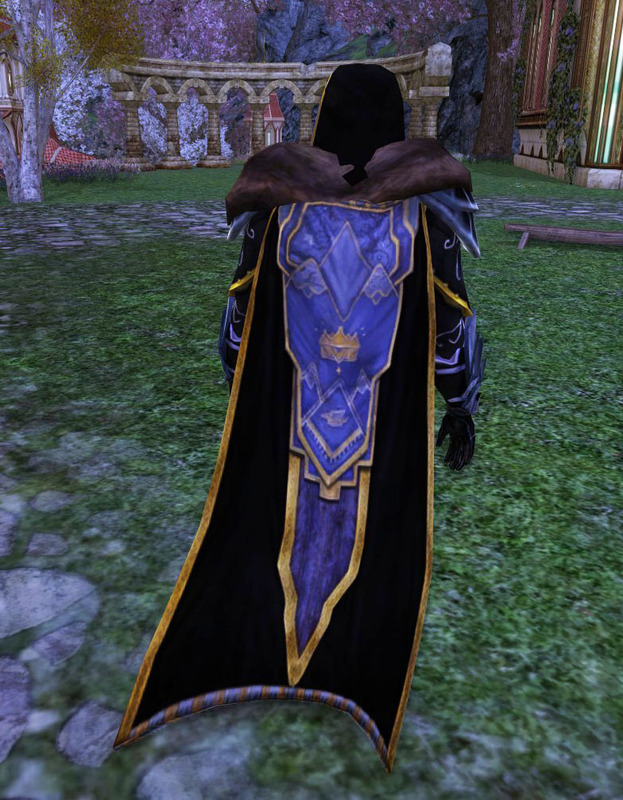 I think this cloak pairs really well with the Rock-climber’s armour and similar models. The blue, gold, and (dyed) black are striking. Thank you for the submission, Thurfin! I’m really pleased whenever someone reaches out to tell me about their outfits and their character.